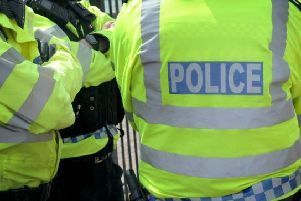 A 16-tear-old boy was arrested on suspicion of possessing an offensive weapon in Leamington yesterday (Wednesday February 13). And when officers searched him in custody they found crack cocaine and heroin. Officers had responded to reports of two teenagers acting suspiciously in High Street. The officers arrested a 16-year-old boy from Coventry on suspicion of possession of an offensive weapon after they seized a knife near where he had been sitting. And they found the drugs on him after they had taken him into custody at Leamington Police Station. Det Con Steve Mobbs from the Leamington Offender Management Unit said: "This was a typical example of county lines drug criminals exploiting vulnerable young boys and having them traffic drugs from big cities into smaller county towns. "We are committed to disrupting this type of offending and working with the young people involved to move them away from a life of crime." No further action was taken in relation to the seizure of the knife.